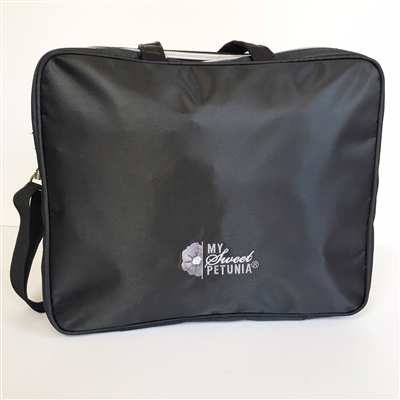 The My Sweet Petunia Studio Bag is like your studio on the go. 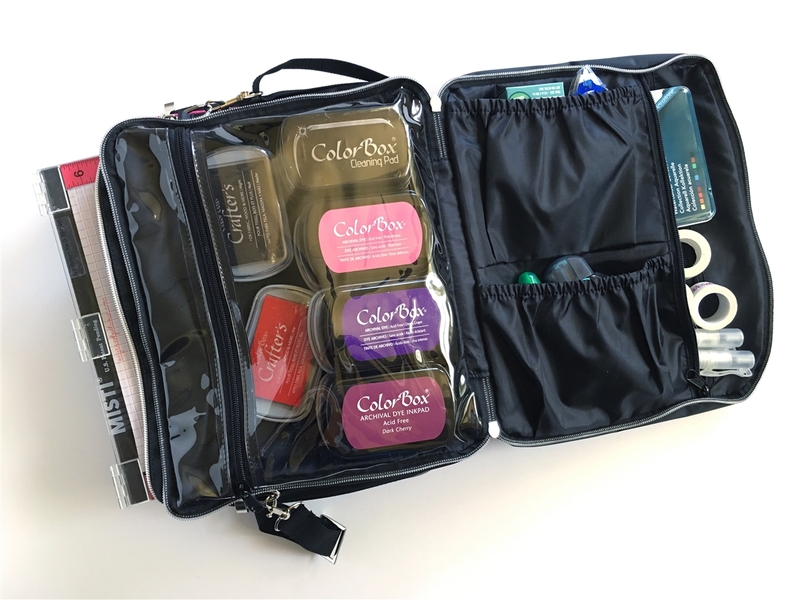 Each of the three zippered sections serve a different, customizable function, with two removable pouches for markers or other wet media, slip pockets for stamps, and elastic pockets for ink tins or embellishments, with lots of open space for your MISTIs, stamps, inks and dies. 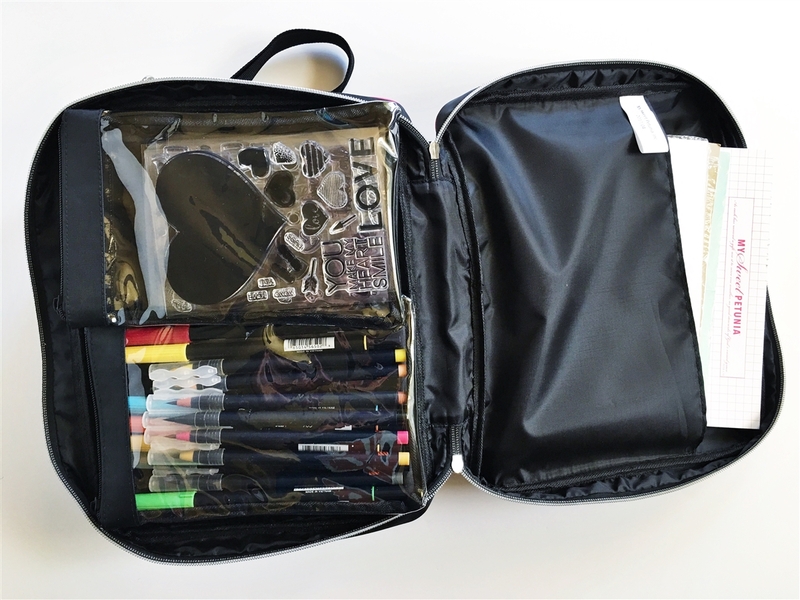 When fully loaded, this bag will ensure no crafter is without the essentials to make mobile crafting fun and productive. The removable, adjustable shoulder strap leaves your hands free, or can hang on your chair while you're working, and the padding at the bottom of the center section keeps your MISTI and other supplies cushioned and safe. The My Sweet Petunia Studio Bag comes in your choice of pink trim, turquoise trim, or black trim. Our Price: $7.00 Because of their brittle nature, magnets will not be warrantied, replaced, returned, or exchanged.